A composite ZTF image of Andromeda. 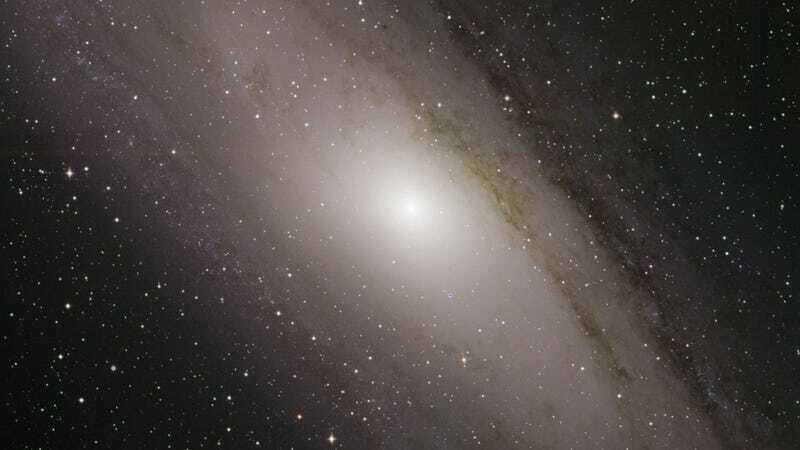 A ZTF composite image of Andromeda galaxy. While many of us non-astronomers are mainly excited about the amazing images, ZTF’s first release of scientific results includes some surprising finds. The instrument has already found 1,100 supernovae (the massive explosions of large stars collapsing in on themselves) and 50 near-Earth asteroids, including two near-Earth asteroids that passed within 72,000 and 76,000 miles of the Earth, as well as asteroid 2019 AQ3, which has the shortest known orbital time around the Sun of any asteroid. Its orbit lies entirely within Earth’s circle around the Sun. The scientific drop includes papers describing these first results, as well as methods to classify and compile the project’s data, software, and alert system. The $24 million, 578-megapixel camera can photograph the entire northern sky every three days, and has been releasing reports on the Astronomers Telegram since last summer. As much of its funding comes from the U.S. government, much of its data is public, according to a press release. The orbit of 2019 AQ3, the asteroid with the shortest year. While Helou was excited about the hardware, he was equally as excited about the software, which employs data analysis techniques like machine learning in order to pick meaningful information out of the heaps of data. The ZTF is state of the art, but it’s a taste of what to come. The astronomy community will soon have another wide-angle sky-surveying camera, the Large Synoptic Survey Telescope, which is scheduled to begin operations in 2022. That facility will sit atop a mountain the Chilean desert and will have a 3.2-gigapixel camera. It will peer even deeper into space than ZTF, similarly imaging the whole sky at once. But the new, larger project won’t make ZTF obsolete—it’s doing important science in its own right, and the methods developed at the California facility will find important application in the LSST.